Charmouth’s newest community group is based at the Heritage Centre on the Foreshore, and looks after the main beach and the rocky shore to the west of the Centre. They have been working with the Charmouth village traders to reduce single plastic bag use and are encouraging the local community to buy and use hessian bags for life instead. The Café downstairs from the centre has also taken the initiative to change their plastic takeaway cups for more eco-friendly versions and also offer FREE coffee’s for people participating in our beach cleans (when the Café is open). 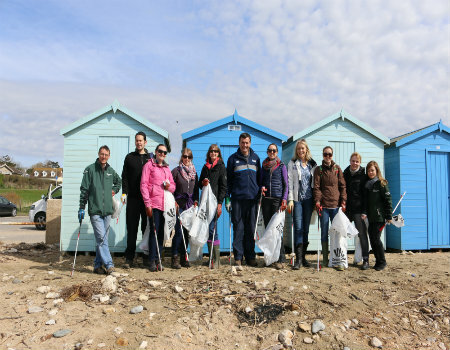 Everyone welcome to join in the FREE Charmouth Beach Cleans! 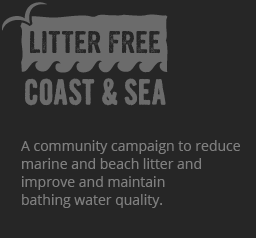 Help clean up your local beach and make it a much safer place for both wildlife and us. Stay for as much or as little as you like! All equipment is provided. All children need to be accompanied by an adult. Check out the calendar and Charmouth Heritage Coast website for upcoming beach clean dates and more information and news about the centre.